(1991/Relic) 16 tracks (3 unreleased 5 stereo) of this legendary band from New York City. Including their 1960 Monster 'Valarie' and many other gems. Extensive liner notes by Donn Fileti. 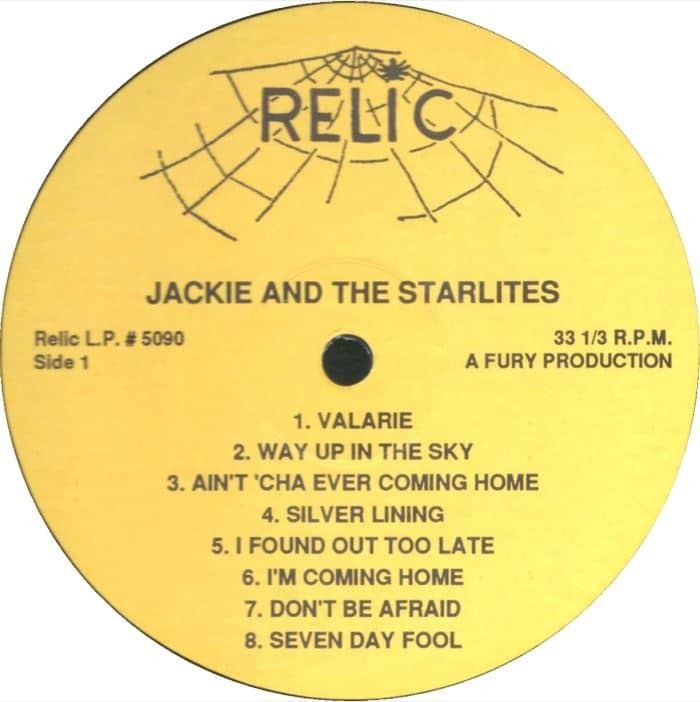 Sounding like he was breaking down in tears, Jackie Rue's histrionic lead on his Starlites' slow-grinding debut ballad Valarie really stood out from the pack. Born with the surname La Rue, diminutive Jackie brought doo-wopping experience to the table; he'd fronted The Five Wings, a New York quintet that waxed a pair of 1955 singles for King, Johnny Has Gone and Teardrops Are Falling. 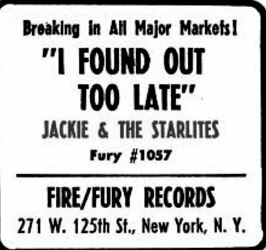 Nothing more was heard from Jackie until 1960, when he and his crew - tenors Alton Jones (or Thomas - sources differ) and George Lassu, baritone John Felix, and bass Billy Montgomery - turned up on Bobby Robinson's Harlem-based Fury label with the sobbing Valarie (the considerably happier jump Way Up In The Sky was its B-side). The group's early '61 encore Aint'cha Ever Coming Home sounded just as heartbroken; this time Rue sounded nearly as tore up on the B-side, Silver Lining (sounds like Fury house guitarist Wild Jimmy Spruill gracing both up-tempo sides). 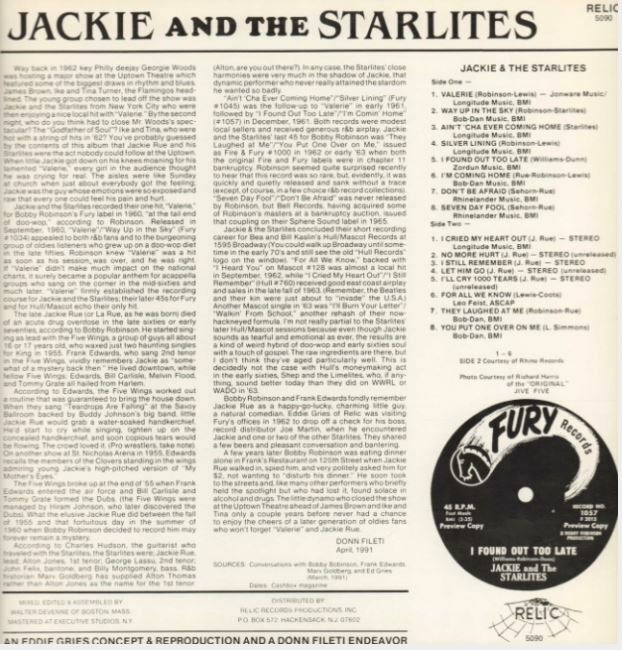 The formula held for The Starlites' third Fury outing, I Found Out Too Late, later that year - Jackie sounds on the verge of a nervous breakdown on the teary spoken passage, though he testified in melismatic manner on the torrid B-side I'm Coming Home, scarcely able to stay on key. A couple more singles emerged from Robinson's stash: They Laughed At Me (where he does seem to break down) b/w You Put One Over On Me turned up on short-lived Fire & Fury, while Bell issued Seven Day Fool b/w Don't Be Afraid on Sphere Sound around 1965. Meanwhile, Jackie and The Starlites, as they were now known, defected to Bea Kaslin's Mascot logo in 1962 to revive the pop chestnut For All We Know (backed with I Heard You). 1963 brought two more 45s, one on Hull (Rue's own I Cried My Heart Out, another frantic weeper, b/w I Still Remember) and the other on Mascot (I'll Burn Your Letter b/w Walkin' From School). Rue ended up a victim of the streets, reportedly overdosing on drugs in the late '60s or early '70s. The little weeper with the big voice deserved better. 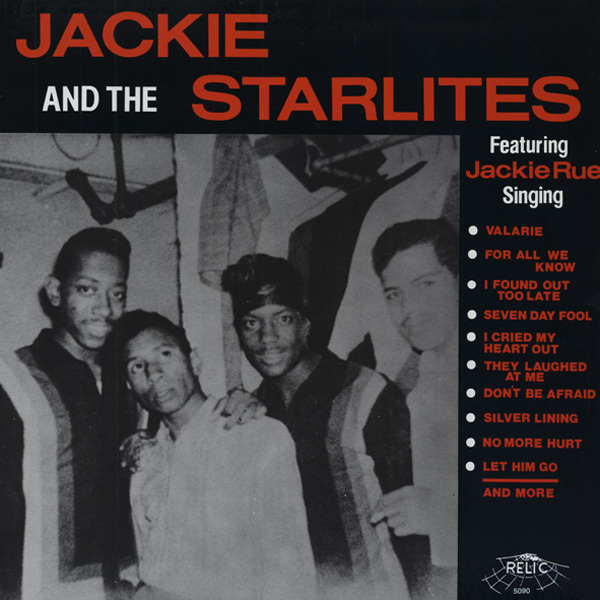 Customer evaluation for "Jackie And The Starlites Featuring Jackie Rue (LP)"